Accusations of racism, questions over the spending of public money, and admissions of a series of driving offences – including one serious crash – it seems there is nothing that will sway the public off course in the run-up to Friday’s vote. The polls since the beginning of the campaign have shown little movement and two more at the weekend showed the electorate appears to be holding firm. 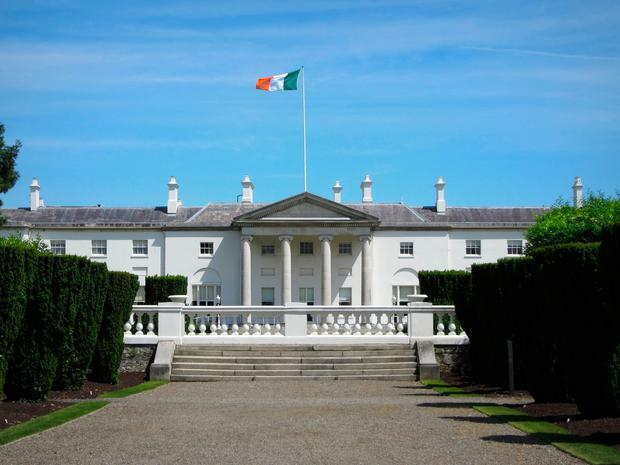 Michael D Higgins looks on course to be returned to the Áras for another seven years by a massive landslide – save something unprecedented occurring in the final days. From the start, the accepted wisdom was that the election is the incumbent’s to lose and, from the very first polls to the latest ones, we have seen only marginal movement for any of the candidates. Mr Higgins is sitting pretty on between 68pc and 69pc of the vote, depending on which poll you cite. His nearest competitor is Seán Gallagher, who is trailing in the early teens, and the remaining four challengers are all in single digits. The lack of movement shows that nothing to date in this campaign has been enough to sway the electorate – not the messages brought forward nor the tough questions asked. Mr Higgins has faced repeated questions about his use of public funds from his election rivals. The most recent furore focuses on his use of the Government jet to travel to Belfast to deliver a lecture. He cited security advice that he could not be picked up at the Border – a suggestion which has seemed to cause anger in the PSNI. But it would seem that the public at large have no concern over the costs associated with the presidency, or how they are spent and accounted for. Meanwhile, for the most talked-about challenger, Peter Casey, the full impact of his controversial comments on the Travelling community has not yet been fully tested, but the early signs are it won’t make or break his 2pc standing. A Red C poll for the ‘Sunday Business Post’ was conducted between October 11 and 17, which means that at least part of the sample was taken after the Irish Independent published his comments about Travellers. There has been some anecdotal commentary that his opinions, while out of step politically, may yet find an audience with some – but it is hard to imagine that, even if that is true, it will be a swing large enough to make him a real contender. The same goes for the remaining contestants who, despite their best efforts, have moved negligibly in the latest round of polls. There are still a few days to go and the underdogs will be at pains to point out that a week is a long time in politics. It is true that the electorate will likely latch on in the final days of the campaign. But the series of polls done to date show that, while they may be just snapshots in time, those snapshots point to an electorate who already have their minds made up.